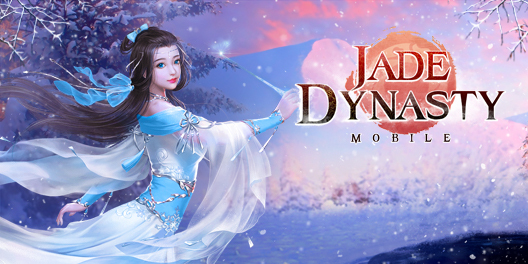 A new school has arrived to Jade Dynasty Mobile! Please, note that you need to update the app in Google Play or AppStore to play the game! Embrace the melody of war and become a Yungil disciple! Graceful followers from Singers Village can heal allies and control and attack enemies with the power of sound. With a new school, there is also a brand new tutorial, start location and first quests! Set off on an amazing adventure! Take part in new events to get powerful artifacts! All guild members with level 55+ can enter the Island of the Immortals dungeon. You need to choose the difficulty according to the guild’s total path. You will get guild input points for the damage, healing and gathering resources in the dungeon. These points give you a chance to get items for espers, enhancement, rebirth and battle spirits. If you don’t have input points, you can get silver, Amulets of Enhancement, and Life Spirit. In the new party mode – Dungeon Series you can complete all daily dungeons as a single squad. No longer will you have to worry about missing group members! 1. Go to Dungeon Series on the party screen and create a party. You can set the required party members level. 2. If the party has been made and confirmed this way, you will not have to confirm each time you enter a dungeon, it will be done automatically. 3. Dungeon Series include Straw Temple–twice, Maelstrom of Souls–twice, Mirage–twice, Attack of the Werewolves–20 cycles. Equipment development is available at lvl 120. You can get items to upgrade your equipment during the Ghostly Treasure event. If you develop particular parameters, you will activate new [Fate] skill! [Fate] is a new passive skill that makes the battle more exciting. You can get fragments of Dunn Chuck, Doi, Devilish Prince, Leah, and Imp during various events, including Beast God’s Grove and Attack of the Werewolves or get them in the Store - Exchange. New battle spirits and their combinations will become a huge support for you during the battles! Holy Mentor will help players under level 50 to progress faster and get rewards for completing special quests. Now you can move your gems to the special bag, so they won’t occupy additional cells in the inventory. Every gem moved to the bag becomes the 1st level gem. You can take gems from the bag at any time. Here you can get unique items to upgrade your path and raise your stats! Try out new interactions, [Clear Mind] weapon, and special Chrismas outfits and mounts as well! Express your feelings with a new emoji pack! Don’t forget to activate it in your inventory after you buy it! hello everyone .. im a player of last empire war z .. now my acount and my base reset with no reason please help ..
is this only on mobile game? or we can play on computer?